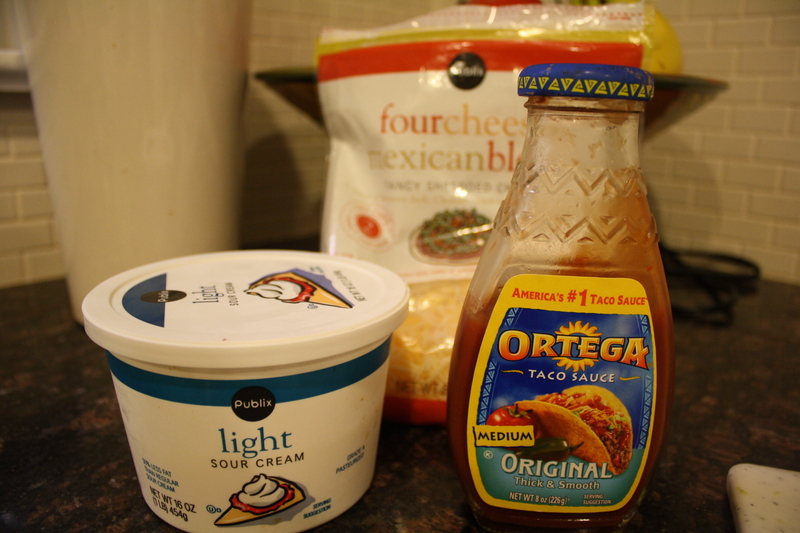 Mexican is a go-to weeknight meal for us, but I like to change it up from the same ole taco salad every now and then. 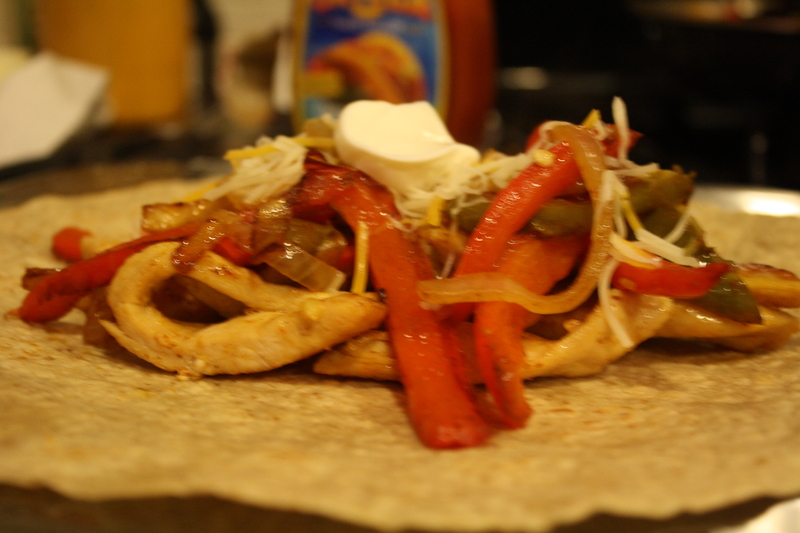 Bring on the fajitas! They are so easy, inexpensive and fairly healthy too. Can’t beat that! 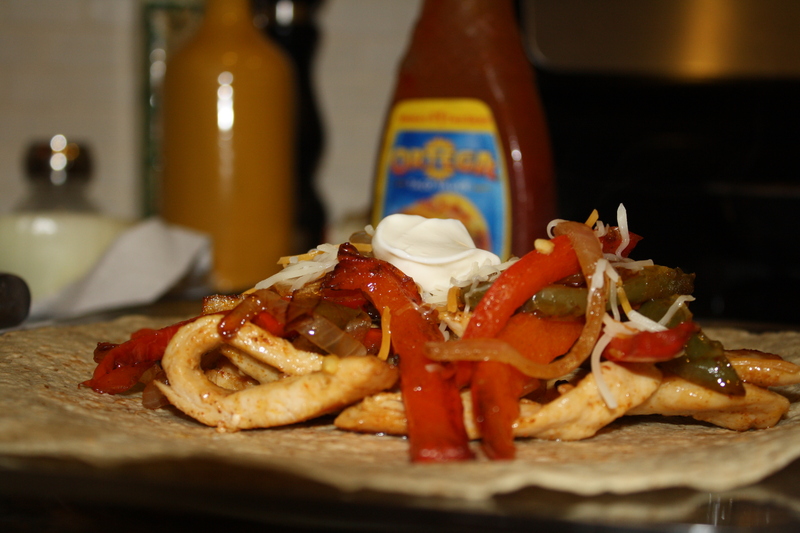 *many grocers package chicken already cut into strips ideal for fajitas or stir-fry, so look for those to save time. Chicken cutlets also work well for this dish. In a skillet, heat 1 tbsp olive oil over medium-high heat. 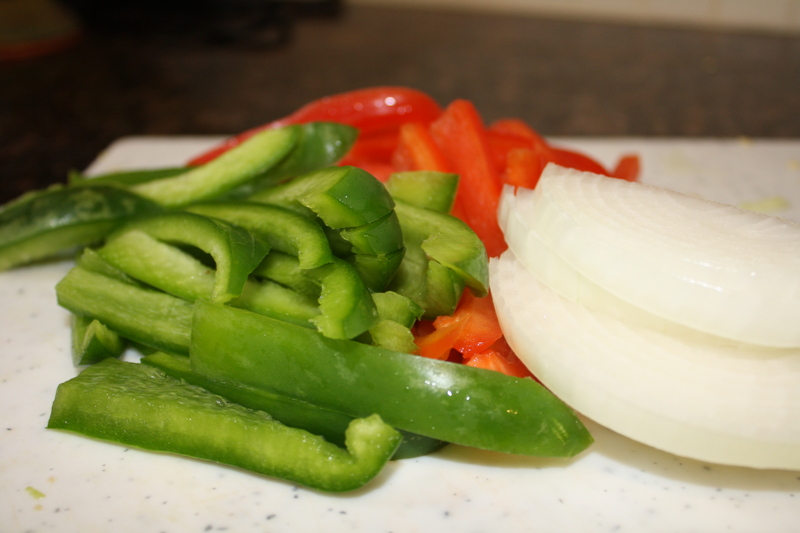 In a mixing bowl, mix up the peppers and onion with about 1/2 pkg of taco seasoning. 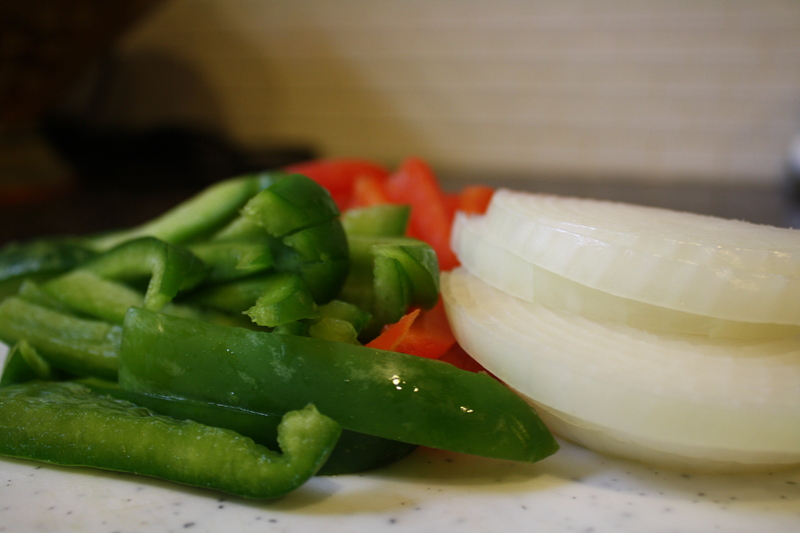 Add peppers and onion to pan and stir-fry until charred and soft, about 15-20 minutes, stirring and shaking often. Reduce heat if needed. 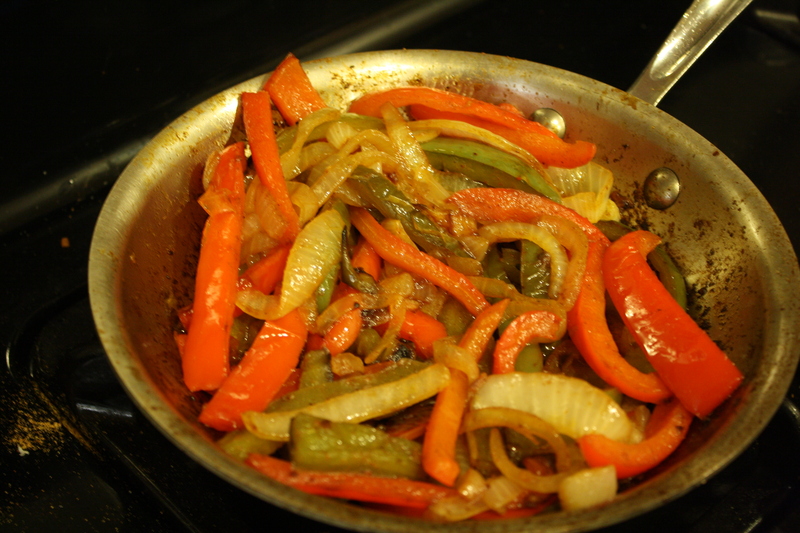 While the vegetables cook, heat another skillet with the remaining olive oil at medium heat. 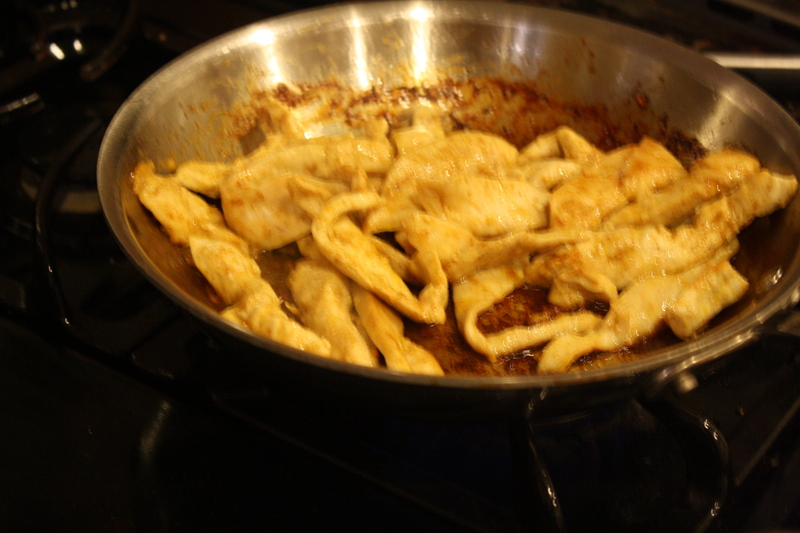 Season the chicken with the rest of the taco seasoning and cook over medium heat for 8-10 minutes, or until done. 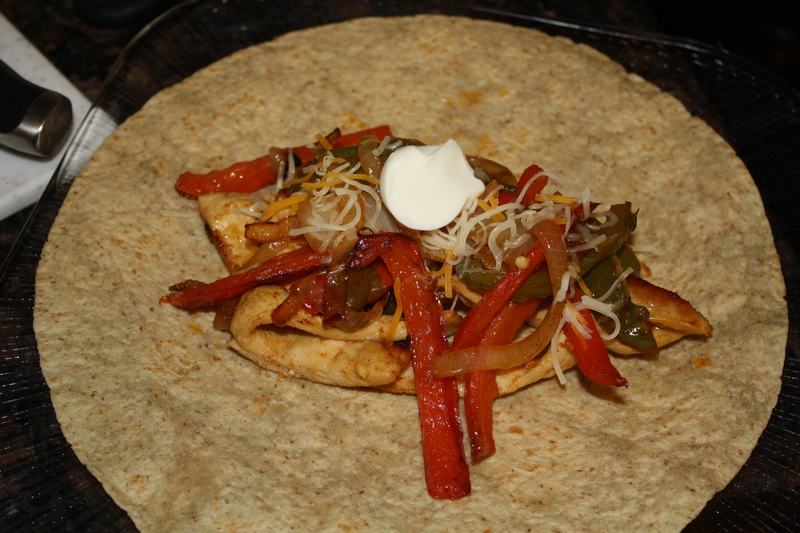 While the chicken and veggies cook, heat the tortillas in the microwave. Pile high with chicken and veggies, cheese, sour cream and taco sauce (fresh cilantro and guacamole are also great additions). 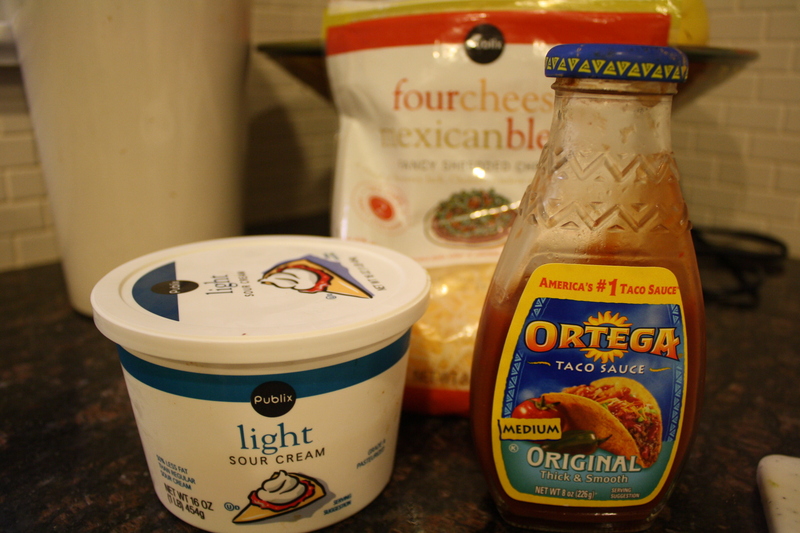 I serve these with a side of seasoned black beans, but you can also serve Mexican rice. Oh, and a Corona, of course!